Let me preface this post by saying that I heartily applaud the injection of empiricism into philosophy. If one adopts the philosophical starting point of investigating the natural world, one needs to start with reliable observations of the natural world to spark off and inform philosophical enquiry. However, while I also applaud the intentions of experimental philosophy (x-phi), I fear that it can often be conducted in a manner that is arse-backwards. This not only undermines x-phi and its results, but it foregoes an alternative approach to integrating the philosophical with the empirical that might be even more fruitful than the much of the current x-phi research. Let me begin by going back a couple of steps and drawing a (somewhat coarse) distinction for you, one I’ve drawn before. There are two types of philosophers in the world: pure and applied. Pure philosophers are wound up and set loose on any question the mind can conjure. They’re unbounded by earthly concerns and can roam the full breadth of the conceptual world unimpeded. They might occasionally tackle real-world questions or stumble upon real-world answers, but that’s not their primary pursuit. These are our metaphysicians, epistemologists, logicians and our metaethicists, amongst others. Even much of moral and political philosophy is, in my opinion, pure philosophy. It might start with a problem that sprung forth from the real world, but from that starting point they’re free to explore where the thinking takes them – e.g. what would moral properties look like; what are the limits of moral responsibility; what is justice; what is sovereignty? But in doing their conceptual wrangling they develop also new tools of thought. Then we have applied philosophers (precious few, I might add). These are explicitly engaged in searching for answers to real-world questions, using the tools of thought developed by pure philosophers and, crucially, embracing empirical evidence to guide their gaze. Sure, they will develop and adapt their own tools as well, but many of their key tools are derived from pure philosophy. So applied philosophers start with empirical information about real world issues then apply the tools of thought developed in pure philosophy to understand, characterise, carve up, tear down and wrangle ideas in order to make better sense of real world problems. Now we come to x-phi, which if you look at it through the lens of this distinction, is often a somewhat strange beast. 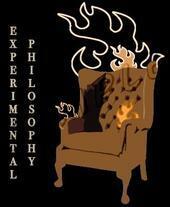 For much x-phi doesn’t seek to use the tools of pure philosophy to help understand empirical issues. Instead much x-phi uses empirical tools to better understand philosophical issues. And I wonder how enlightening this can be. Take the research conducted by Eddy Nahmias & Dylan Murray on lay intuitions about free will. In this paper, Nahmias and Murray interpret x-phi research done into people’s intuitions about free will and moral responsibility, concluding that incompatabilist intuitions are problematic, and suggesting this amounts to a challenge to incompatabilism in general. To me, this is arse-backwards. Experimental studies can, indeed, tell us many useful things about our intuitions concerning many curly and counter-intuitive things. It might even find that many of our intuitions are problematic in themselves. We might find that our intuitions are contradictory, or implications that we wouldn’t be happy with, or even lead to absurdities. These are philosophical reflections on real intuitions. But I’m sceptical about whether intuitions can’t tell us terribly much about what is the correct answer to questions about free will. In fact, I’d suggest the Nahmias and Murray study simply reveals that our intuitions are often unreliable and that philosophical intuitionism in general is deeply problematic. But didn’t we know this already? It seems to me that such x-phi, which seeks to use empirical tools to study philosophical questions, is of limited utility unless we think our intuitions about philosophical questions are good grounds for holding certain philosophical conclusions. And I’d suggest that most philosophers would (or should) be wary of such bald intuitionism; for example, we know most people have intuitions about time and space that don’t square with our best theories about how time and space actually work. Rather, I’d like to see x-phi turn around and function in the opposite way: taking the tools of philosophy and applying them to real world, empirical problems. So instead of probing our intuitions to learn something about free will, we can use philosophical ruminations about free will to tease apart what people say and think about free will, perhaps highlighting problems in their intuitive reasoning. That, at least, would be arse-forwards.